Sooner or later, all vehicles sustain cosmetic damage in the form of scrapes, scratches, or chips. These unsightly marks are common and simply a part of driving, especially here in crowded Southern California--however, that doesn’t mean you have to settle for an imperfect paint job. Instead, turn to Class N Color Auto Collision for a fast fix. Our team is I-CAR automotive certified and based in Canoga Park, CA. Reach out today to request a free, personalized estimate based on your vehicle repair needs. We’ll listen carefully to your request, assess the damage, and recommend services that deliver the results you (and your car) deserve. Is your car looking worse for wear after years of use - or even an unexpected fender-bender? 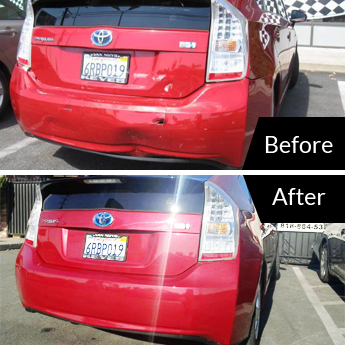 Give it the TLC it needs with help from the Class N Color Auto Collision crew. For years, we’ve remained local drivers’ first choice for comprehensive and affordable auto body services. Every day, we work to restore the most scratched, damaged, or dented vehicles using modern tools, practices, and techniques. Discover the difference insurance company-certified collision experts can make in your ride’s appearance. 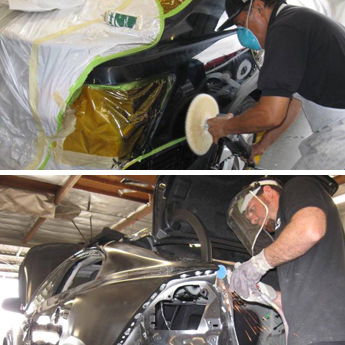 As longtime auto body specialists, we understand how important your car is to you. It’s one of the reasons we approach each client request according to their precise needs. Every project we undertake, we tackle with a combination of outstanding customer service and industry knowledge that equals noticeable results. Trust your vehicle’s paint or body repair job to our team and sit back-- we’ll take it from here. Our friendly team makes the post-accident process easier by towing your damaged car to our shop and helping you find a rental car. Contact us today to request a free estimate and learn how our I-CAR automotive certified mechanics can help you get back on the road faster. We serve drivers in Canoga Park, California, and nearby areas.